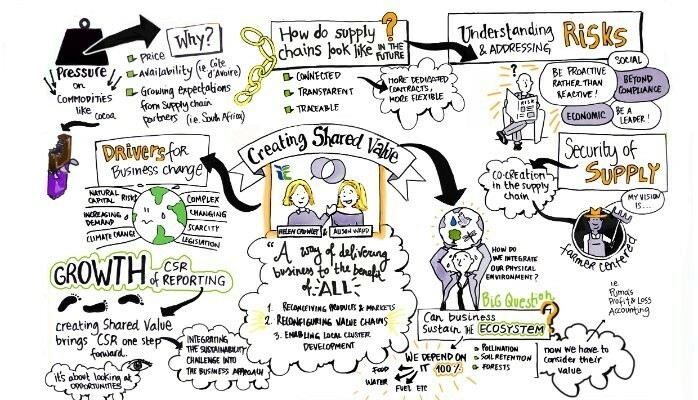 Collaboration with partners, suppliers and customers has become a strategic imperative for companies in the networked world of business; there are company-centric and customer-centric views of collaboration. This also applies to the manufacturing industry as OEMs moved from traditional supply chain to co-creation or value creation for New Product Development & Introduction (NPDI). Effective NPDI is hard to imagine out of Product Life-cycle Management (PLM) strategies – or, perhaps for a better word, Product Development Life-Cycle (PDLC) which is meant to define how the extended enterprise and the supply chain operate in a context of global sourcing. In 1979, Porter introduced the paradigm of Competitive Strategies to which was added the concept of Value Chain as a decision support tool. It obviously includes core and support business functions, internal and external dependencies and relationships including linkages to Supply Chains. Access global talents (leverage skills and capability) and provide Engineering bandwidth (enable capacity and scale). Open innovation through collaborative networks of suppliers and partners (share innovative ideas). Global business expansion and scalability (enter new markets and geographies). Economies of scale and economies of scope (do more with less, do more of what works). Access new services and new engagement models (work in smarter ways). Reduce Non-Value Add (NVA) activities and outsource / transfer of ownership of Essential Non Value-Add (ENVA) activities (focus on core Value-Add activities). Cost advantage (reduce cost, increase margins). Scattered data among multiple systems and scores of individual users. Inaccurate data, not timely accessible. Time-consuming design reuse due to limited or inefficient (if not impossible) searchability. Proliferation of part and data duplication. Need to protect intellectual property. Global outsourcing demands a strategic product and service delivery perspective coupled with a deep understanding of supplier cost and competencies, combined with knowledge of the Engineering and PDLC domains. Designing a supply chain with the proper degree of vertical integration requires a clear understanding of the risks and rewards of global outsourcing. There is perhaps a need for Service Life-Cycle Management (SLCM) involving the service community, on-going service evaluation and co-creation of revised service offerings. This post was originally published on LinkedIn on 16 May 2015.